MopDog: Ever wonder what Morgan Freeman sounds like in Hungarian? 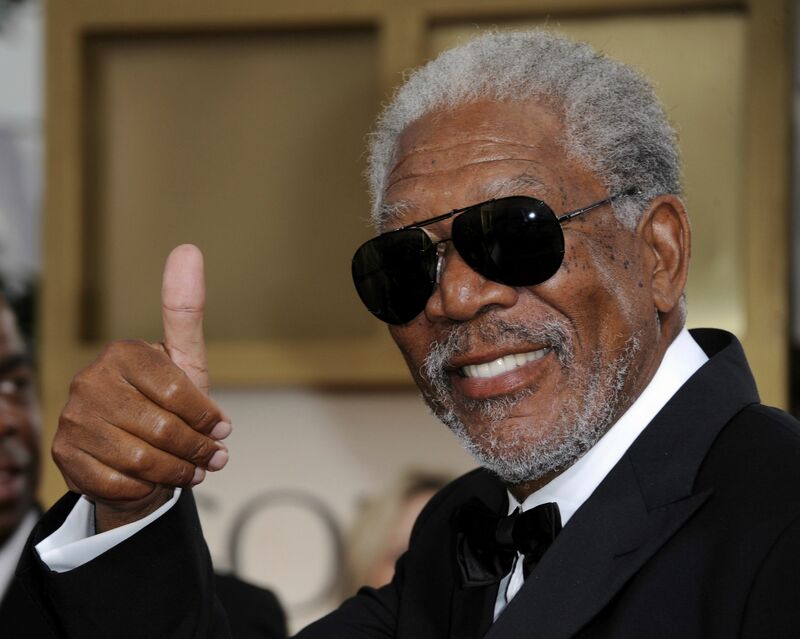 Ever wonder what Morgan Freeman sounds like in Hungarian? One of my favorite pastimes is trying to explain dubs to my American friends. Since Hollywood's idea of dubbing is to completely re-shoot every foreign film with Johnny Depp and Rachel McAdams in the lead, I decided I'll give you a taste of voices I grew up with, long before I discovered that you can watch movies with the original sound. Hungarian dubs used to be stellar when I was a kid (it wasn't that long ago, thank you). Some of them - mostly animated movies - still are. Others... well, not so much. And since I have been repeatedly told that what makes Hungary a third world country is growing up deprived of Morgan Freeman's real voice, I'll just give you a list of the good, the bad, and the ugly. You can sort it out for yourself. Sinkovits is the Morgan Freeman of Hungary. He is The Voice. Until he passed away he was also the voice of Papa Smurf and the dragon from Dragonheart. Among many, many other things. It is customary for certain famous actors to have one assigned Hungarian actor that dubs them in most of their roles. For Morgan Freeman, that voice is Tibor Kristóf. Interestingly, he is also an assigned voice for Sean Connery and Scar (Zordon, for us) from the Lion King. "Hungarian, motherf*cker, do you speak it?!" The sound clip speaks for itself, really. By the way, the guy also dubbed Frodo from Lord of the Rings. And... Leonard from TBBT. Oh, and Loki. If a Benedict Cumberbatch falls in a Hungarian dub, does it make a sound?... Fun fact: He sounds exactly like Dexter on Showtime. Here is a less dragoned-up variation on Cumberbatch. It was not easy to find a clip. Probably for the better. We don't have a Gilbert Gottfried, obviously, but this guy comes pretty close. I don't envy the guy who has to keep up with Jim Carrey. He also does Donkey from Shrek. Here is a clip of "Shakespeare in the park." Fun fact: The voice of Hawkeye is another well known Hungarian actor. He dubbed (grown-up) Simba from the Lion King, Woody from Toy Story, Heath Ledger in Knight's Tale, Hugh Grant in pretty much everything... the list goes on. Yeah, that happens too, characters have separate singing and speaking voices. And yes we are aware she's off key. Hint: This one is not under the "good" label. Gesztesi is another well known voice from film and television. He also dubbed Sulley from Monsters Inc., Bunk from The Wire, and Lando Calrissian from Star Wars. Yeah so...Barney the purple dinosaur?